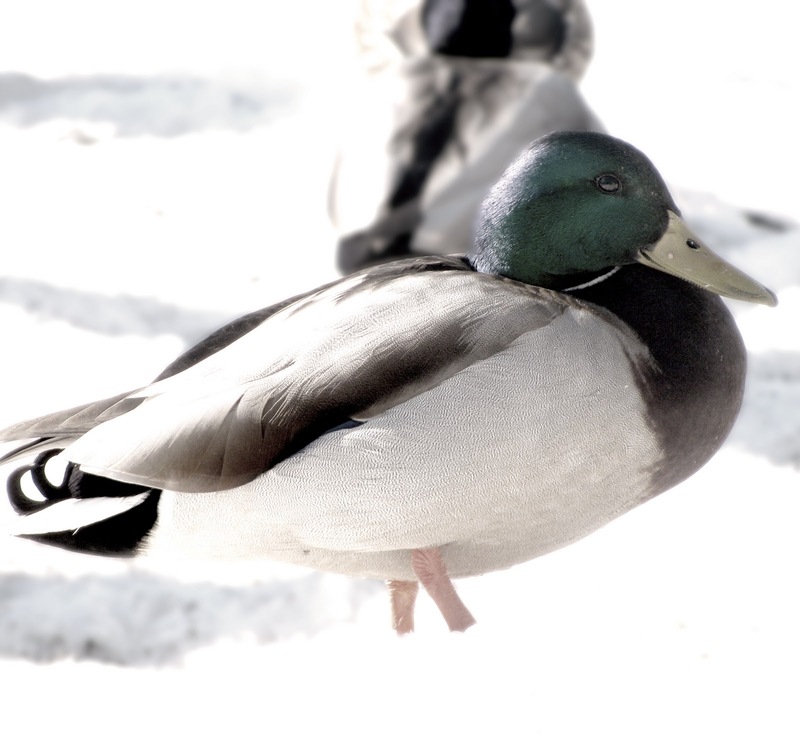 Mallard Duck in the snow. I added the sepia effect and then reduced the effect to 74%. Just the slightest bit of color as you can see. Nice looking male, though a little pale ... as indeed most of us are, this time of year. Poor little guy looks frozen solid. Where is spring already?? I like the muted hues!